There is now an easy way to support paddling and Florida's community of paddle sport enthusiasts. It's called the Florida Paddling Trails Association (FPTA). By partnering with FPTA, you not only support our first rate 501(c)(3) non-profit organization but you also get valuable member benefits and a listing on this page. Become a major supporting partner by listing here. 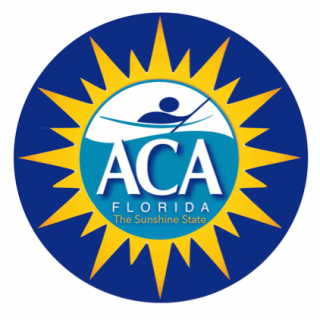 The ACA | Canoe - Kayak - SUP - Raft - Rescue is a member based, national nonprofit organization serving the broader paddling public by providing education related to all aspects of paddling; stewardship support to help protect paddling environments; and sanctioning of programs and events to promote paddlesport competition and recreation (a.k.a. FUN!). FPTA also actively collaborates with our state chapter, Florida ACA, on paddling education, youth programming, and stewardship of Florida's waterways. Paddle Florida is a non-profit organized to support canoeing and kayaking in Florida. Multi-day paddling/camping adventures in each of Florida's five water management districts showcase the state's natural beauty and rich cultural heritage while promoting water conservation, wildlife preservation, springs restoration, and waterways protection. Paddle Florida also seeks to promote Florida as an international destination for nature-based tourism. Natural North Florida:A "come as you are" kind of place, where you'll find people very down home and very sophisticated, natural and nice, all at once. If you have a question regarding our partners program, please email marketing@floridapaddlingtrails.com. Thank You! Spend a day kayaking and canoeing on Florida's outstanding waterways. Use an outfitter to provide your boat, life jacket, paddle and more. Have fun! Outfitters, would you like to be listed in our service directory? Are you already here but want a full listing including description, photo or logo, website address and contact info? Email Us. For kayak rentals, sales, and tours in Crystal River, Florida and the surrounding coastal waters, come see us first. We have guided manatee kayak tours, kayak rentals on King's Bay, kayak sales, kayak paddles, and paddling accessories. We are the premier canoe outfitters on the upper Suwannee River. We offer 213 miles of canoeing and kayaking, including the Big Shoals, Florida's only Class III white water rapids. Paddle with the authors of the "Florida Keys Paddling Atlas." Fully-outfitted kayak camping trips range from 2 nights in the backcountry to the annual 10-day traverse of the 100-mile Florida Keys Overseas Paddling Trail. 10% discount to FPTA members.
. The beautiful Peace River offers wildlife viewing, fishing, swimming, hiking trails, wilderness camping, and fossil hunting. Florida Bay Outfitters offers daily as well as overnight guided kayak tours, kayak instruction and kayak and canoe rentals. Key Largo location. Frog Creek Campground & RV Park, is a tranquil wonderland of natural beauty of majestic live oaks. Spanish moss hangs from graceful branches as picturesque Frog Creek meanders by. Located in Talbot Island State Park, Kayak Amelia oﬀers guided kayak and SUP ecotours and kayak/SUP/bike rentals in the Jacksonville and Amelia Island area. We are a full service Kayak and SUP (Stand Up Paddleboard) Company based in Fort Myers, Florida and Kennebunkport, Maine. Titusville is the Redfish Capital of the World and a Mecca for Birding. We have the Indian River and Mosquito Lagoon estuaries as well as the St. Johns River and surrounding wetlands. Paddleboard Winter Haven wants to share our passion for stand up paddle boarding with Winter Haven residents and visitors. Join us for First Time Fun, Tours, Fit Classes, Fly Fishing, Races, and Free Club Activities. As a company our mission is to build a sustainable business in the Kuleana Spirit. We want to create good jobs, contribute to the local economy, provide an outstanding paddling experience, and all along the way be good stewards of the environment. Russ & Kay are dedicated to helping you discover the beautiful Suwannee River and the Big Bend Gulf Coast. In addition to our outfitter's business, we are active with the State Parks & local agencies. We are fully licensed & we always try to have fun! We are located in Destin, Florida, in the panhandle between Pensacola and Panama City, right on Destin Harbor. We have some of the best water, sand and sunshine in the country. This is a great place to kayak! Shingle Creek is the headwaters of the Everglades and was recently identified by "Canoeing & Kayaking Florida" as one of the top paddling trails in Florida. The Paddling Center rents single and tandem kayaks, canoes, and paddle boards. Offering paddleboard and kayak rentals and eco tours in Key Largo, Islamorada, and Tavernier. Are you looking for others who enjoy nature, kayak and canoe paddling, exploring and having fun on Florida's fantastic rivers, streams and bays? Check out our Florida Paddling Clubs listings to find new friends. Paddle Clubs - Would you like to be listed in our service directory? Are you already here but want a full listing including description, photo or logo, website address and contact info?Email Us. A social paddling club. Organized in the 1970s by local canoeists who get together to enjoy such favorites as the Chipola River, the Sopchoppy River and the Wacissa River. TAKE A HIKE! PADDLE A CANOE!That's exactly what the members of Palm Beach Pack and Paddle Club do. We're a group of all ages and occupations who share a love of the outdoors and all it has to offer. No dues, just fun! A group of friends who enjoy paddling together. We meet monthly to discuss recent trips, related topics and future paddles. We welcome paddlers of all skill levels and everyone paddles at their own risk. and east of US1 in Melbourne. New members are welcome. Can't you smell that good cooking already? From fine dining to fast food, we'd like to help promote your business. Would you like to be listed in our service directory? Are you already here but want a full listing including description, photo or logo, website address and contact info?Email Us. Are you looking for others who enjoy nature, kayak and canoe paddling, exploring and having fun on Florida's fantastic rivers, streams and bays? Check out our Florida Paddling Meetup Group listings to find new friends. Meetup Groups - Would you like to be listed in our service directory? Are you already here but want a full listing including description, photo or logo, website address and contact info?Email Us. Experienced kayakers, safety & skills requirements, paddles 8-14+ miles, 3-4 times per week. No dues, officers, meetings or "club," just like-minded kayakers paddling together. For details, see our Website. This group is for anyone that likes to paddle, pedal or both! If you like to paddle (sea kayaks, sit-on-top kayaks, recreational kayaks, canoes, standup paddle boards) or pedal (hybrids, road bikes or off-road) there is a lot to explore in the Keys. We are a bunch of folks who want to SPEND THEIR TIME LIVING LIFE.Averaging 3 events per week, we kayak, bicycle, hike, camp, travel, climb, and even a little backpacking. Some events are for beginners, some events are for only the most experienced. The main purpose of this group is to meet other paddlers and spend more time paddling. All those who enjoy kayaking in the ocean, flat water, and whitewater are welcome to attend! Discuss gear, destinations, and kayaking expeditions. The purpose of WaterTribe is to encourage the development of boats, equipment, skills, and human athletic performance for safe, efficient coastal cruising using minimal impact human and wind powered watercraft based on kayaks, canoes, and small sailboats. This page contains a list of businesses and services that may be of interest to the Florida paddling community. Would you like to be listed in our service directory? Are you already here but want a full listing including description, photo or logo, website address and contact info?Email Us. From buying your first kayak or planning an international adventure, the staff at Florida Kayak School can help you. We appreciate that each client is unique in the outcomes desired. Let the Florida Kayak School help you. Florida Outdoor Academy (FOA) offers wilderness medicine training throughout Florida and South Georgia. Paddle Florida is a non-profit organized to support canoeing and kayaking in Florida. Multi-day paddling/camping adventures in each of Florida's five water management districts showcase the state's natural beauty and rich cultural heritage. We are the leading online source for information on canoeing and kayaking. From Buyers' Guides to articles and classifieds, it's all here! We Sell and service all BSD Sail Products and are Folbot and Pakboat dealers. Our BSD sail kits are the best upwind rigs and have been on the market since the late 80's. They are made in USA and are able to turn your canoe or kayak into a sail boat. Waste Water Management, Inc. is an engineering-based, service-oriented manufacturer of wastewater treatment and recycling systems and oil absorbent filters and boom. Are you looking for a place to stay while traveling to your favorite kayak or canoe destination? From RV and tent camping to hotels, motels and bed and breakfast, we've got you covered. Businesses - Would you like to be listed in our service directory? Are you already here but want a full listing including description, photo or logo, website address and contact info? Email Us. PO BOX 898 / 1110 River Side Dr. Here are some of the Florida State and Local governmental agencies that are involved in paddling and the environment. Would you like to be listed in our service directory? Are you already here but want a full listing including description, photo or logo, website address and contact info? Email Us. Welcome to Citrus County, Florida. Find Florida's soul in our warm Gulf waters, spring-fed rivers, gentle manatees, fantastic fishing and bountiful lakes. Edgewater is nestled on the Indian River in East Central Florida, adjacent to the famous Mosquito Lagoon offering beautiful scenes for paddlers. Easy launch site at Menard-May Park with easy loops and over 16 miles of destination paddles. The Lee County Visitor & Convention Bureau promotes the world class beaches and unique attractions of Florida's unspoiled island sanctuary. Discover your next adventure in a world of natural wonders far beyond the hustle and noise of man-made attractions. Outdoor enthusiasts and sportsmen have long found a wealth of opportunities within the boundaries of Levy County. Natural North Florida is a "come as you are" kind of place, where you'll find people very down home and very sophisticated, natural and nice, all at once. Trail Associations can help you get on the water fast! They provide info on outfitters, hotels, motels, restaurants and more. Most trail associations also organize waterway cleanups and protect the environment. Do you want your water trail listed in our directory? Are you already here but want a full listing including description, photo or logo, website address and contact info? Email Us. The missions of the Florida Paddling Trails (FPTA) is develop water trails, protect the environment and be a resource and voice for paddlers.. The St. Johns River Alliance, a 501(c-3 not-for-profit organization, was formed in 2003. Our mission is to preserve, protect, promote, restore and celebrate the St. Johns River as an American Heritage River.